When Henry York found 99 cupboards hidden behind his bedroom wall, he never dreamed they were doors to entirely new worlds! Unfortunately, Henry's discovery freed an ancient, undying witch, whose hunger for power would destroy every world connected to the cupboards-and every person whom Henry loves. Henry must seek out the legendary Chestnut King for help. 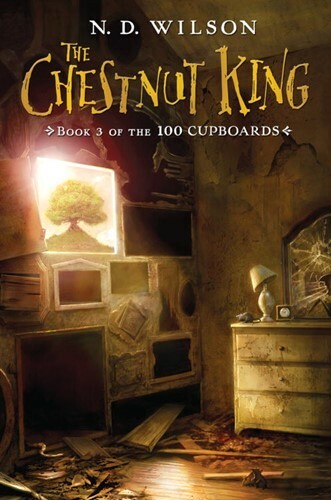 Everything has a price, however, and the Chestnut King's desire may be as dangerous as the witch herself. N. D. Wilson concludes a remarkable, worlds-spanning journey that began with one boy and one hundred avenues to adventure. From the Hardcover edition.